So this post is a day late, I didn't get a chance to get to my computer before St. Patty's Day festivities were over. 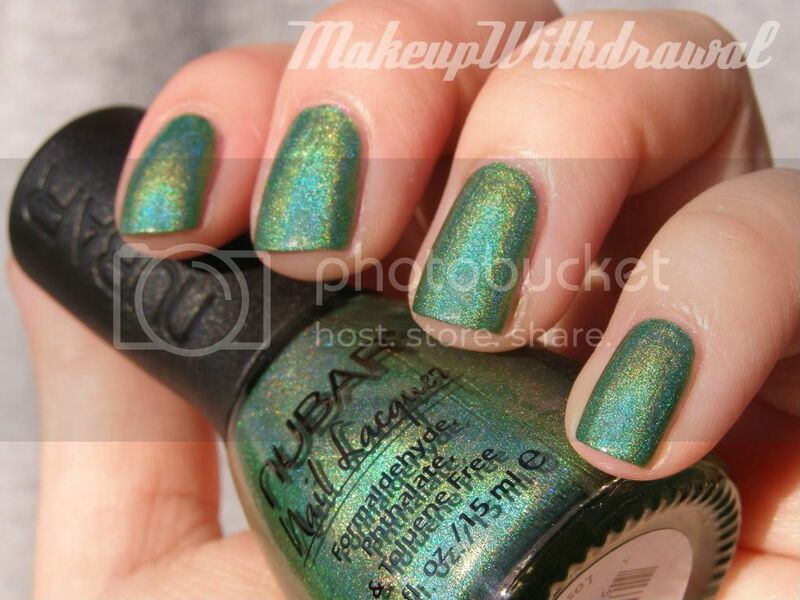 A few weeks ago, I treated myself to my first bottle of Nubar polish- Reclaim. It got here just in time for me to wear it yesterday, and what a glorious holo it is! It's a kelly green linear holo. It's interesting because though it's not the most vibrant green, the holo adds extra rainbow sparkle and makes the color really appealing. I applied it over a base of Nfu Oh Aqua Base (which is totally worth the cost, best thing for holos that dry really fast) and at first though I worried that it wasn't going to apply well, it leveled perfectly. Go Nubar! I'm very impressed. My first taste of Nubar was absolutely delicious, I can't wait to try more! This was the perfect green for me on this St. Patty's Day, it really brightened up my mood. 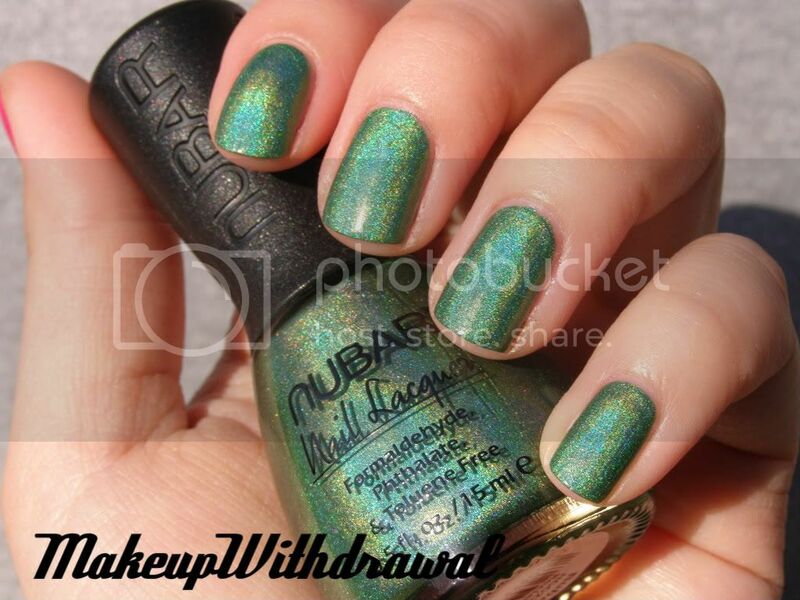 Have you tried any Nubar polishes? Is there any that I absolutely have to get?